Do you have any scent memories that you have kept through your life? Yes, I find it quite fascinating that our olfactory sense is so closely linked to memory. I have a couple of very vivid memories of scents that I still love today. I recall being a little girl and watching as my father and his friends were preparing to leave the house to attend a party and were wishing us children goodnight. The ladies smelled of lipstick, soap and cashmere and the men smelled of tweed, tobacco and cedar wood. It was all very glamorous. I also have many memories of family trips to the west of Ireland and the scent of the sea. Bracken, thyme and oakmoss seemed to travel in the breeze. The scent of clean fresh air, heavy with foliage. To this day, it can take me back to very specific moments of my childhood and time spent there. These are memories that I have used as influences for my fragrances. Roads - Bitter End is inspired by the West of Ireland. Before taking part in the fragrance world what type of projects were you involved in? Mainly business projects but I was heavily involved in the set-up of Ireland’s National Academy of Dramatic Art called ‘The Lir’. It was established in partnership with Trinity College Dublin and RADA. It was quite labour intensive for two years but it is something I am very proud of as it is currently producing some of Ireland’s most talented actors, directors, playwrights and stage/costume designers. It is of world class calibre. I was also involved in a large project with UNICEF where were helped to implement a programme of activity that would help to rebuild the North after the civil war. The infrastructure there had been completely obliterated by the conflict. It has been very rewarding to see how much of an impact that has made for the people of Sri Lanka. What was the journey of forming the ROADS GROUP like for you? Well, I took it step by step really. The companies were all founded at the same time and we put a very clear corporate governance structure in place. We treated it like a big organisation from the beginning. The key to successful business is finding a team that understand the vision and work hard to achieve it. I believe in creating good partnerships and that has been imperative to the companies’ growth. Did you have any fears when you first started and do you still have them from time to time? Fear and self-doubt are a part of the human condition but I tend not to let those emotions impact on my business decisions too much. Many of your scents themes sound as if they could play a part in a book of short stories. How has your love your literature effected your creative process? Literature is a common thread for many of my projects with Roads. It is the common denominator so to speak and influences a lot of the film projects too. With perfume, I often think of a particular character from a book and use them as inspiration. With the new Africa Collection, the works of Nigerian writers such as the literary laureate Wole Soyinka, who used the term ‘past presence’ in his Nobel Prize acceptance speech was the inspiration behind the fragrance ‘Past Presence’. People taking chances, being brave and being true to themselves really inspires me. I love diversity and love finding the contrasts in life. Can you speak on the other aspects of the ROADS group? We have a publishing house and film production company. We publish high end visual coffee table books alongside reprinted classics whereby we use graphic designers and artists to interpret the subject of the book into beautifully illustrated covers. We also produce high-calibre, commercial art-house features and documentaries that cross many genres. Feature films in development include: THE SHEE, directed by Ciaran Foy, THE SUPERLUMINAL COMMUNICATOR, directed by Andrew Legge (THE GIRL WITH THE MECHANICAL MAIDEN); TRADE, written by Mark O’Halloran (ADAM AND PAUL; GARAGE); THE TEN-CENT PLAGUE, written by Brock Norman Brock (BRONSON) and based on the book by David Hadju; and SONG OF GRANITE, directed by Pat Collins (SILENCE). Where would you like to see the direction of your fragrances in the future? I would like to develop and expand the themes of the fragrances and continue the roll out of them globally. What would be your advice to someone seeking to express themselves creatively in today's world? Aim high. Be bold. Do what you feel instinctively and pay close attention to detail. Finally please share anything that you would like to say. 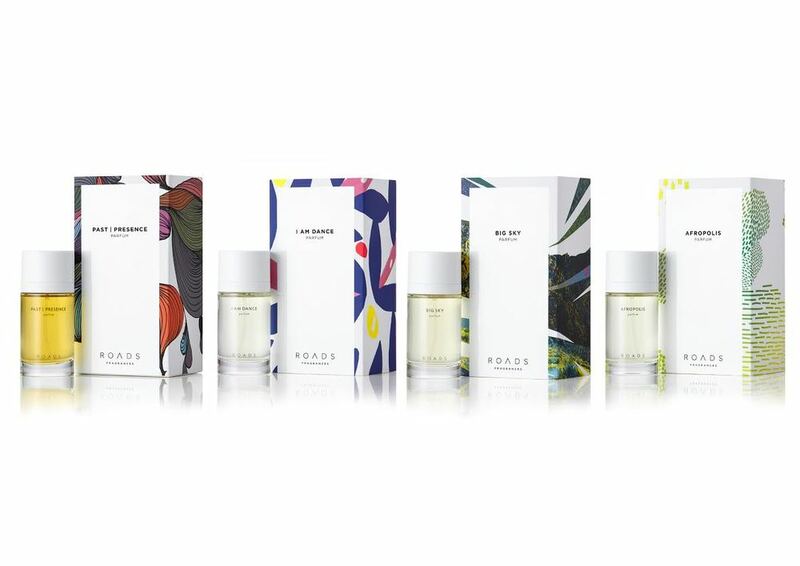 A behind the scenes peak into new luxury brand "Roads" creative process of perfumery.